What do I do if I see a swarm? Firstly, don't panic! Although they may seem a bit frightening, swarming honey bees are not dangerous, will not chase you, and are extremely unlikely to sting anyone. Enjoy watching them - a swarm of bees is one of nature's wonders! When honey bees swarm they are simply moving house. They will leave their old home in a huge swirling, buzzing cloud of bees and will soon settle onto a tree or other object where they will hang in a 'cluster'. The cluster can range in size from something as small as a tennis ball to something as big as a pillow, depending on how many bees there are. At this stage scout bees will begin searching for a new home - perhaps in a hollow tree, a shed, a postbox,, or a roof. When a suitable new home has been found, usually after a few hours, the swarm will fly off and move in. What can I do about a swarm? 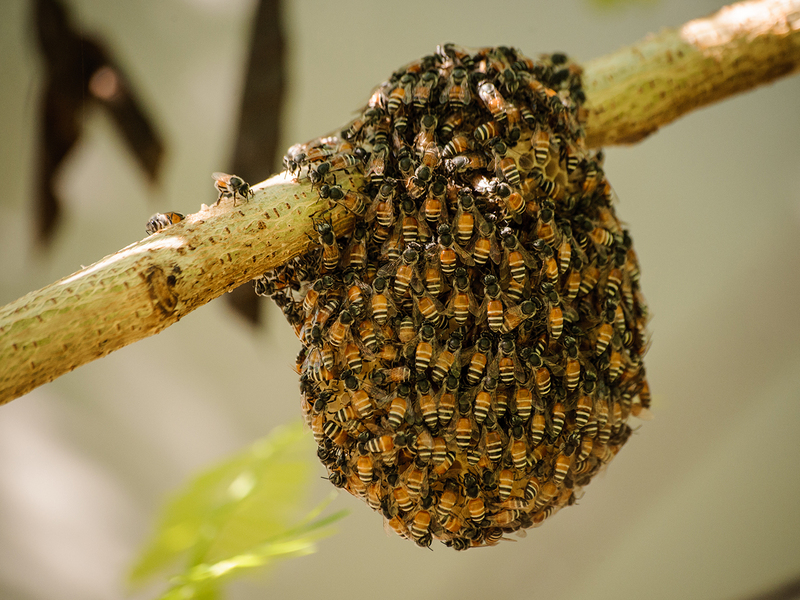 Beekeepers can come and collect a swarm of bees when it is hanging in a cluster, before it moves off again. 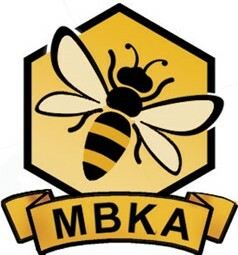 Melksham Beekeepers Association members offer a free swarm collection service to the general public. This is a voluntary service and beekeepers will only be able to come if it is convenient and safe for them to do so. If they do come, they cannot guarantee that the swarm will be removed if it is in a particularly difficult or dangerous place. Sometimes branches of bushes and trees may have to be cut in order to gain access to the bees - you will be consulted in advance. 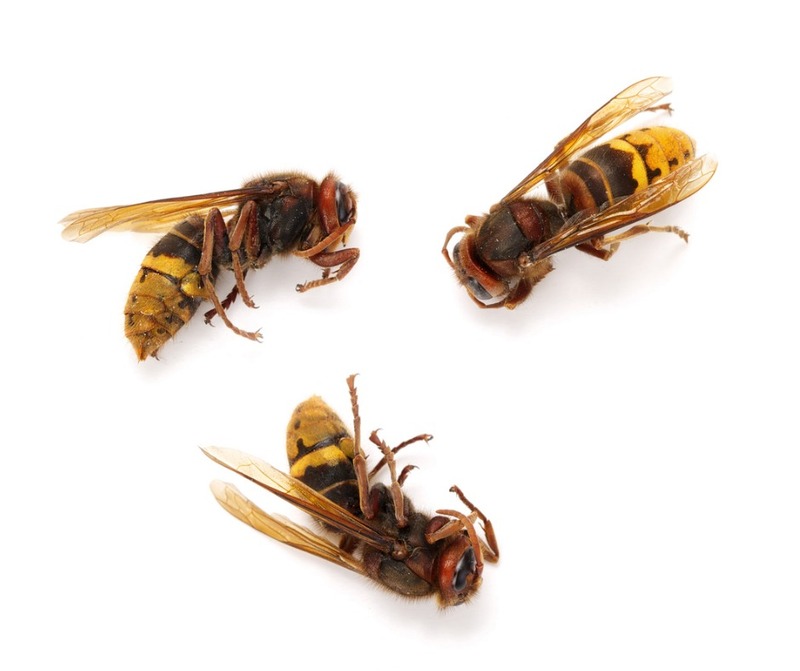 We cannot deal with wasps or hornets and there may be a charge to cover the cost of petrol if we are asked to look at these rather than honey bees. Bumblebees are harmless and should be left where they are - they will normally move away after a few months. 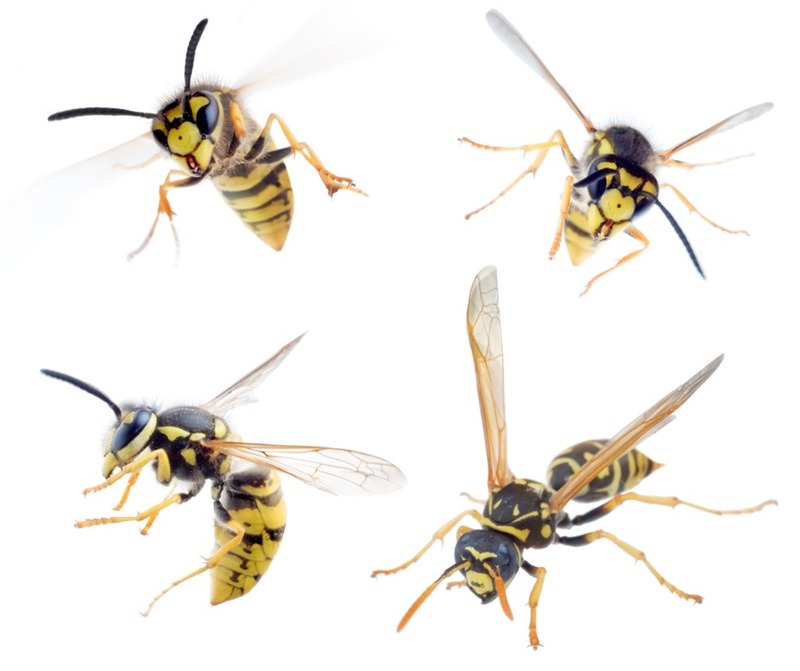 Wasps ...have little or no hair and are bright yellow and black in colour. Hornets ...have some hair and are chestnut brown and yellow in colour. 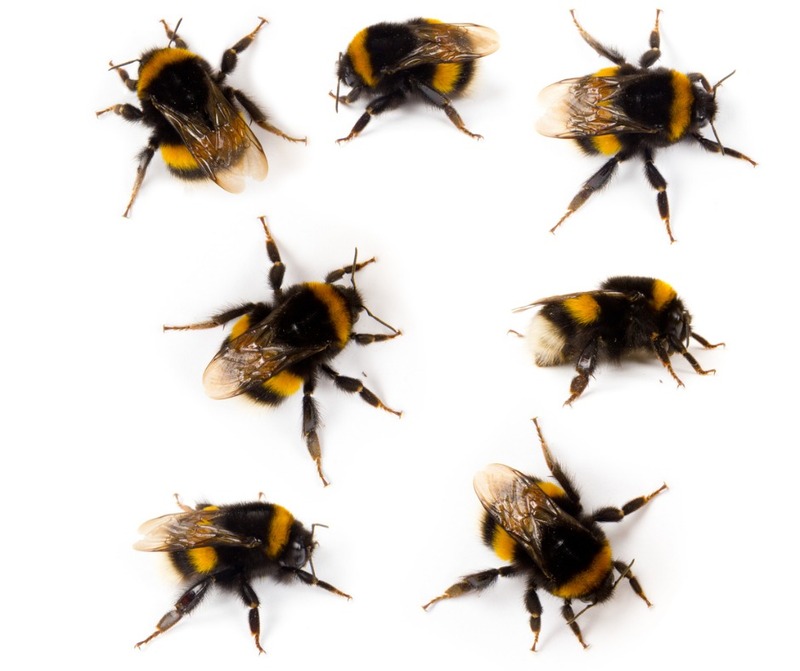 Bumblebees ...have short fluffy hair and are black and yellow in colour.